Restores hydration and keeps skin moisturised. Nourishes, illuminates and makes skin look more beautiful. Slows down skin aging processes. myBEAUTYessence is an active complex of waters and plant extracts enriched with thermal water, hyaluronic acid and vitamins. A quickly-absorbing light essence that gives your skin many valuable substances without feeling heavy. Leaves your skin beautiful and glowing, with a delicate rose scent. 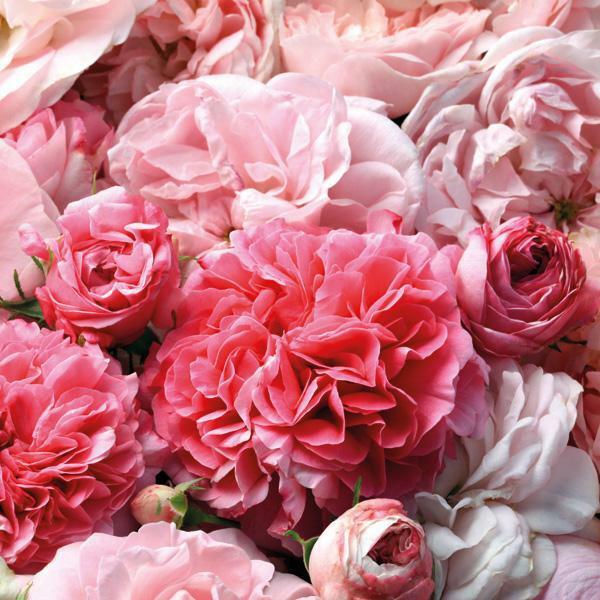 Peony and hibiscus extracts moisturise, nourish and smooth the skin. Rose hydrolate illuminates and tones. Thermal water provides the skin with valuable microelements and minerals. Hyaluronic acid restores hydration and keeps the skin moisturised. Provitamin B5 and vitamin B3 provide anti-aging effect, reduce fine lines and improve skin elasticity. Mist evenly on cleansed skin and gently pat in with your fingertips. Use every day in many ways: under your cream, oil or serum to enhance its effect; instead of cream or serum; as a moisturising make-up base; during the day to refresh your skin. Use it on your face, skin around the eyes, neck and cleavage. Suitable for day and night. Does not leave a greasy film. Doesn’t feel sticky, absorbs quickly, non-comedogenic. No paraffins, PEGs, parabens, propylene glycol, mineral oils, and silicones. Hypoallergenic*. Dermatologically tested. Suitable for all skin types, also for sensitive skin, prone to irritation and atopic skin. enriches your everyday skincare and works in every situation! It contains active substances such as coconut fruit extract, aloe vera juice, thermal water, vitamins, and hyaluronic acid – all in lightweight consistency that absorbs fast without feeling heavy on the skin. It helps you maintain beautiful skin with proper hydration and anti-aging effect – even if you have only a couple of minutes for skincare. Efficient atomiser makes mist application quick and pleasant. You can use it in many different ways – it will always match you and your lifestyle. It’s simple: just open, apply and you’re ready! moisturise, nourish and smooth your skin. illuminates and tones. Enhances skin protection against free radicals. soothes, moisturises and restores skin comfort. gives your skin many valuable microelements and minerals. restores hydration and keeps the skin moisturised. provides anti-aging effect, reduces fine lines and improves skin elasticity. Due to natural substances content, sludge or haze may form. Shake before use. Store at room temperature. 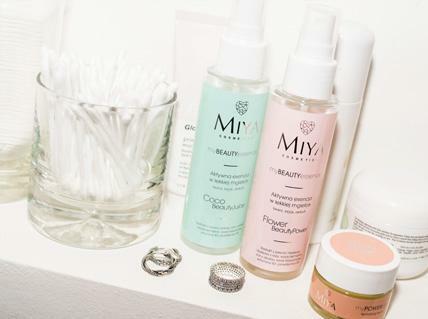 myBEAUTYessence will enrich your everyday skincare with more active substances without feeling heavy. How to use it? Choose your way! during the day to refresh your skin. Use every day on your face, skin around the eyes, neck and cleavage. Suitable for day and night. 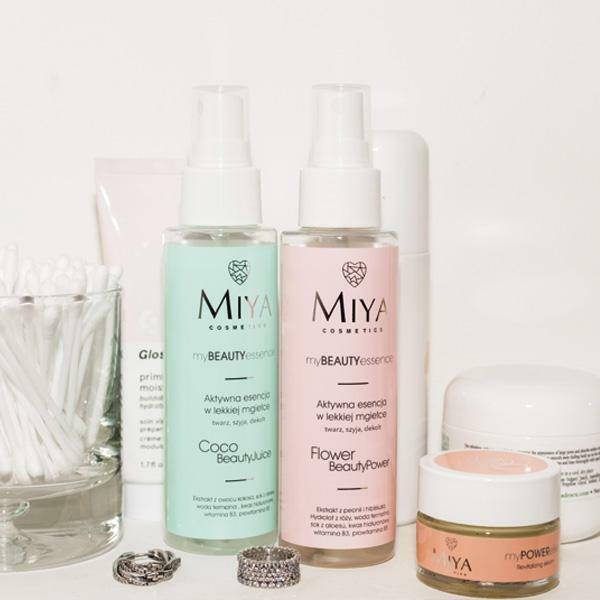 myBEAUTYessence and all MIYA face care products will adapt to the needs of your skin and lifestyle. Perfect as a cream or serum base to strengthen its effect with additional active ingredients. Makes your skin look natural and glowing. Take it with you everywhere, even in hand luggage. It will come in handy when your skin needs extra hydration and radiance. 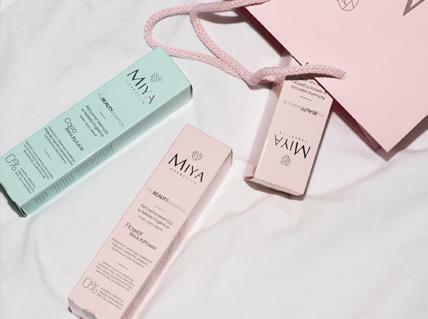 myBEAUTYessence is perfect for a day without makeup, as it will illuminate and beautify the skin, and as your makeup base or BB cream.